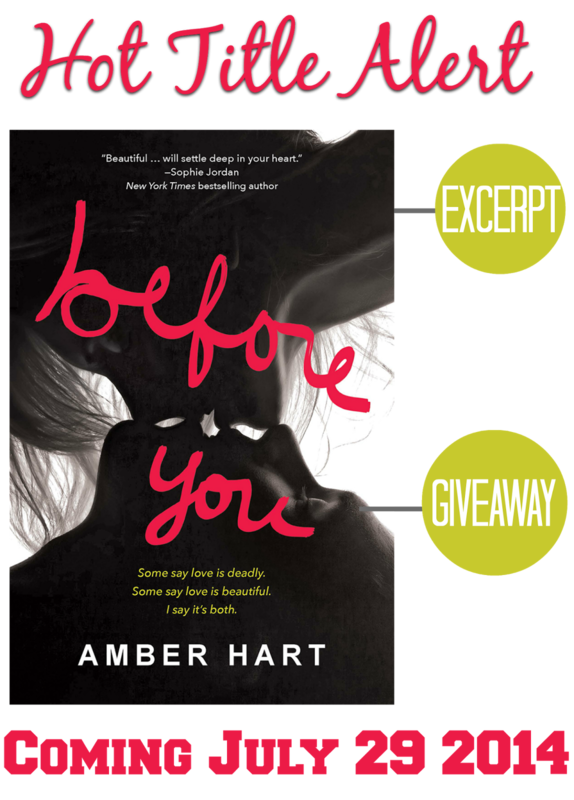 YA-AHOLIC BOOK BLOG: Before You: Cover Reveal, Sneak Peek & GIVEAWAY! Before You: Cover Reveal, Sneak Peek & GIVEAWAY! This is where I change into Her, the girl everybody knows as me. Searching through hanger after hanger of neatly pressed clothes, I find the outfit I’m looking for. A black knee-length pleated skirt, a loose-fitting white top, and two-inch wedge shoes. Looking good at school is a must. Not that I do it for me. It’s more for my dad’s reputation. I have to play the part. I am stuffed into a borrowed frame. One that fits too tightly. One that couldn’t possibly capture the real me. highlighting a few strands brighter than the rest. Everybody has a favorite body part. Mine is my hair, which is the fiery-brown of autumn leaves. My best friend, Melissa, swears my eyes are my best asset. Ivy-green, deep-set, haunting. Like they go on forever. I laugh, partially because of the determination in my friend’s eyes, but mostly because of the absurdity of her statement. Everybody knows that girls like me never break free. Lola is smiling. I wonder if she enjoys the attention. Probably. I’ve met too many girls like her. She fits the type. “You don’t know who you’re messing with,” he says, stepping closer. Just then, someone speaks behind us. “Is there a problem?” a police officer asks from the safety of his car. Everyone backs away from me. This Cuban guy towers over me. I’m five six. Not tall. Not short. Just average. Average is good. This guy’s not average. Not even a little bit. He must be over six feet. You will not shatter me, I silently tell Diego. Somebody already did. “If you don’t want to be here, then don’t come back,” I say. thinking about him like that. painted beige walls and tiled floors. Every few feet hangs a plaque about achievement or school clubs or tutoring programs. “Big word,” I mumble. This guy did not do well on his entry exams, but he says things like superlative? What’s with that? He glares at me; I sigh. I have an image of Faith Watters taking out her designer wallet and easily paying for one of the pretentious lunches. “Yep. Gringos,” Javier says, eyes hardening. He remembers what it was like in Cuba, the struggle. The bigger part of me knows that a life like that will never happen for someone like me. It’s just the way things are. I grab a water bottle and head back to the table with Javier. Do people here know that most of the world doesn’t get water from a bottle, but from a stream or river or muddy ground? This book sounds amazing! Plus, the cover is gorgeous! I can't believe I have to wait until July to read it! It sounds great! I am a big fan of her previous books and July can't come fast enough. The cover is really good! This book sounds great! The cover is gorgeous as well, excited to read this title! I love the cover! The synopsis reminds me of Perfect Chemistry by Simone Elkeles :-) A wonderful excerpt as well, I'm looking forward to reading this. Thanks for sharing & for the international giveaway Haley. love the cover..really eye-catching !! The cover looks nice, I like it! I love the cover! It looks so sweet! I loved, loved, loved the excerpt! I can't wait to see how Diego gets under Faith's skin. it looks so GOOD!!! I can't wait to read it!! It's an attention getting cover. Gorgeous cover and I really enjoyed the excerpt. Love the excerpt! Can't wait to read it!